We have a special guest today, Kathy Cano-Murillo, known as the Crafty Chica. Kathy has made a video for, featuring directions for making a smash book, but because I'm all thumbs when it comes to technology, I wasn't able to upload the video. So click on the link above to watch it. And below are some photos from the video. SmashBooks are everywhere these days and they are so fun to make! 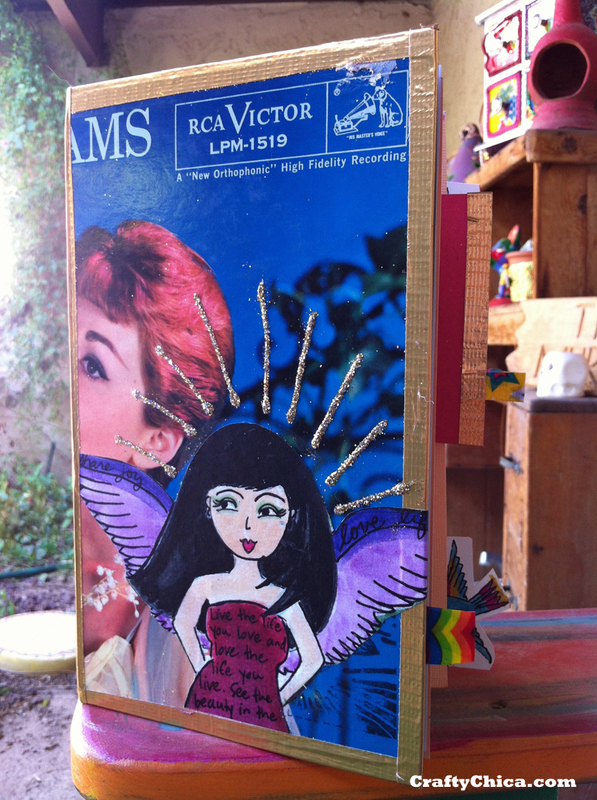 I've seen all kinds of methods but when I came across a stack of old record albums, I decided to use the album sleeves as book covers. 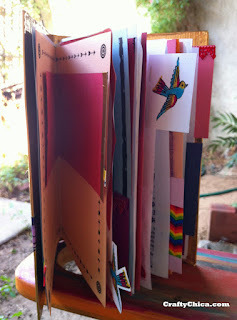 The idea is to gather up scrap paper and bind them into a fun journal. I think Anastacia would be very proud! Fold/crease the papers in half and separate into booklets (six papers each). Sew up the center of each booklet. Set aside. 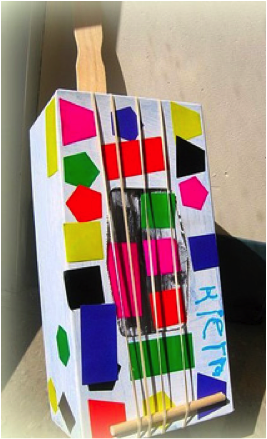 Take the front of the album cover and use the craft knife to score two lines to create the spine of the book. Measure in 5-1/2" on each side. Next, cut off 3" from the bottom of the album. Trim the edges with duct tape to make it look finished. Add hot glue to the spine of each booklet and set inside the cover. Adgere all four booklets. Let hot glue cool Embellish pages as you wish. Tips: Add pockets within the pages, add a page of labels so you can use them in your book. 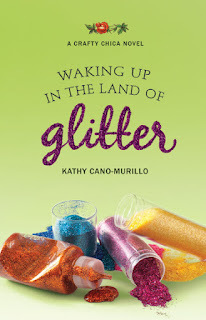 Author and aritst, Kathy Cano-Murillo is the founder of the award-winning site, http://CraftyChica.com. 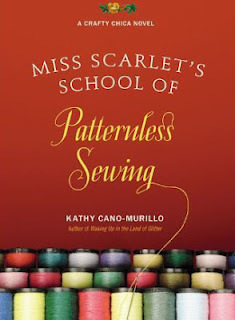 She is the author of seven craft books and two novels: Waking Up in the Land of Glitter and Miss Scarlet's School of Patternless Sewing (both by Grand Central Publishing). Both titles are available in print, e-book/Kindle/Nook and audiobook formats. She is currently working on her next book. We had another busy week here at Killer Crafts & Crafty Killers. Special thanks to this week’s guest authors, Kaye George and Lynda Fitzgerald, who graciously offered copies of their books to some lucky readers who posted comments this week. 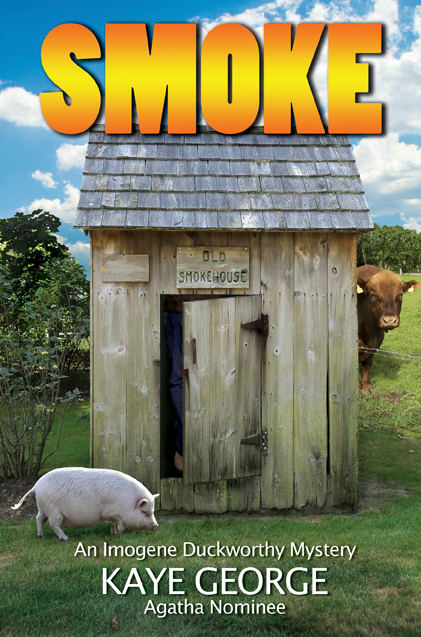 The winner of Kaye’s Smoke (either paperback or ebook) is Kath. The winner of Lynda's Live Ringer and Live Ammo is traveller. Ladies, please email me at anastasiapollack@gmail.com to make arrangements for receiving your books. 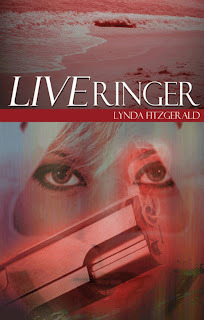 Our guest today is author, teacher, and speaker Lynda Fitzgerald. 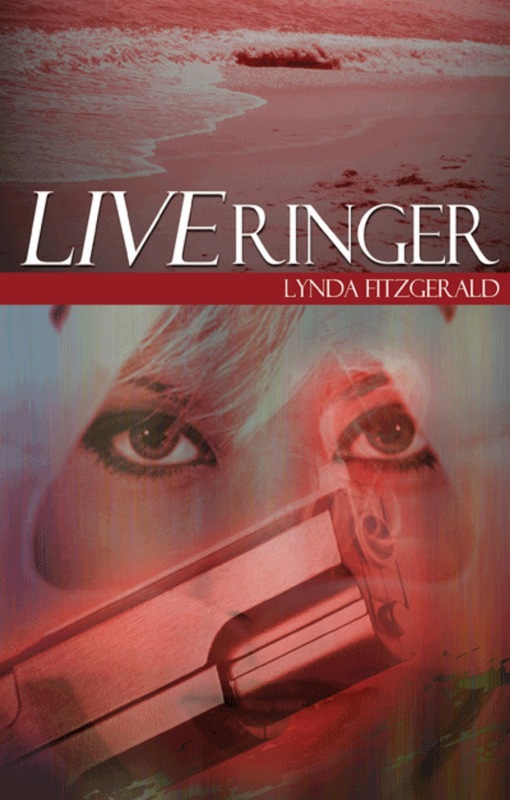 Published in novel length fiction since 2007, her mystery series, LIVE, was launched in 2010 with the release of LIVE Ringer. LIVE Ammo followed in 2012. LIVE in Person is due out in early spring 2013. To learn more about Lynda and her books, visit her website. As a reader, have you ever wondered what made writers… writers? What compels them to put pen to paper (or fingers to keys, as the case may be) day after day, year after year? What gives them the talent, the skill and the drive to crank out novel-length fiction in the face of almost certain failure? Is it something in their genetic makeup, some special hard-wiring others don't have? Well, I did. I knew what compelled me to write, but I didn't consider myself their peer. I was "just a writer." These people were actual authors. "Author." What a magical word that is to a writer. I remember being at a friend's book signing not so long after I was first published, someone said to me, "I never met a published author before." "Me either," I said. Then I realized he was referring to me. That could be the first time I realized I was no longer "just a writer." I'd snagged the gold ring. Now, don't think I'm putting anyone down with my "just a writer" label. I know firsthand what a struggle it is to break into print. I guess I'm a slower starter than most, because it took me nearly thirty years of hard hot work and cold rejections before I was picked up for publication. By then, I'd written seven novels. For all of those thirty years, I wasn't "just a writer" as I thought. I was an aspiring author. Authors seemed such an exotic breed to my "just a writer" persona, somehow high above the common crowd, floating on intellectual clouds of creativity. Nothing could be further from the truth. These days, I know a whole lot of authors, many of whom are New York Times bestsellers, and I can tell you most of them are just folks, down to earth and friendly. Not that forced kind of friendly you get from someone anxious to hawk their wares, but genuinely interested in something besides themselves. If they seem aloof at times, it's probably because most authors are a bit (or more than a bit) reclusive. Most of us would rather be pounding away at our laptops in a locked closet than out in the public eye. Writing was an insular profession for a long time, which suited most writers just fine. Lonely, others called it. Solitary and soothing, we countered. But times have changed. Today, when your first book is accepted, the publisher e-mails you a to-do list. It "strongly suggests" you meet with a website designer and set up a website immediately. It includes a half-dozen social media groups on which you have to make yourself known. It instructs you on having your business cards and bookmarks printed for distribution. It tells you how to behave at book signings and conferences, which they also strongly encourage. Nearly all new authors find themselves pulling at their hair, screaming, "When will I ever have time to write?" But write we do, after that initial flurry. Often, even at book signings, readers are shy about approaching an author, but let me put your mind at ease. Authors LOVE to talk to readers, and not just about their own books, but about the readers themselves. 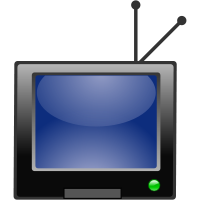 Where do you think we get our stories? So the next time you attend a book launch or signing, walk on up to the author and tell him or her all about yourself. That author may be me, and you may just end up in my next book. Plains, rivers, huge mountains, small mountains, deserts, and oceans. America has all kinds of landscapes and all kinds of people living here. I was born and raised in the Ozarks. They're not mountains, not really. There might be some tall hills, deep valleys, and rolling country, but not true mountains. 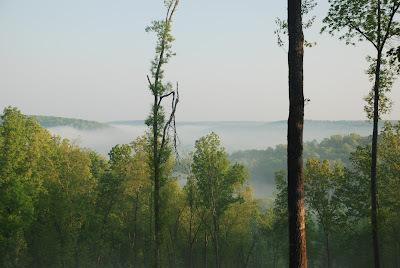 I still live in the Missouri Ozarks near my tiny hometown named Marble Hill. (No one is quite sure why it's named that. Despite what Wikipedia says, there is no marble or marble-like rock anywhere around.) My wife (mystery writer Sharon Woods Hopkins, author of Killerwatt and Killerfind) and I live deep in the boondocks, which means few vehicles ever pass on the gravel road in front of our house. It also means that we're living on someone else's property. That's right, we're trespassing on where at one time only animals lived. That really doesn't bother them much. In fact, the deer love eating Sharon's flowers, the armadillos love digging in the mulch around the trees in our yard, the foxes love denning in the deadfall in a patch of woods near the house, and the coyotes run howling, mostly at night. Although bears and mountain lions live in our neck of the woods, we haven't seen any of them. Yet. This description sounds pastoral. And it is. Yet, when it came time for me to try my hand at writing a mystery novel, I wandered around my couple of isolated acres, pondering the location of a story about violent crime. Saint Louis? Memphis? New Orleans? I'm familiar with those cities. 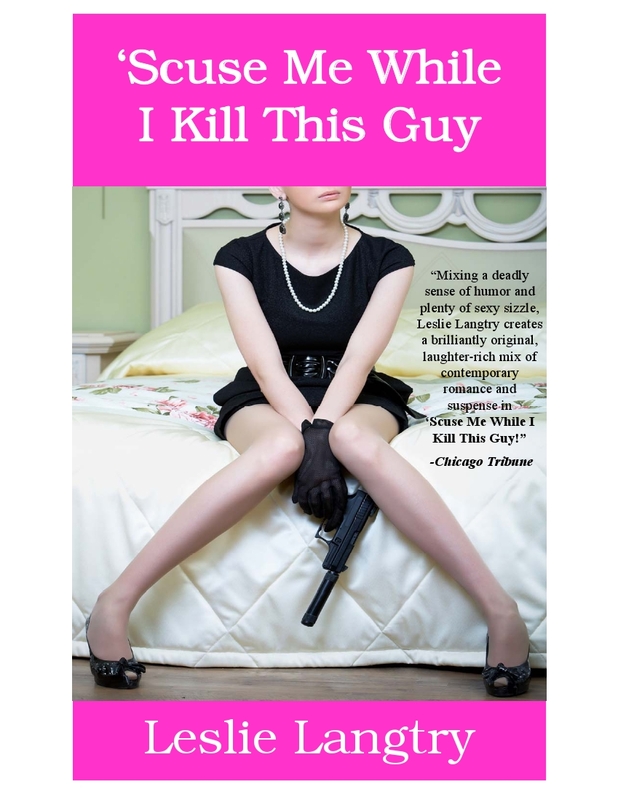 The notion of crime in a city is standard fare in mysteries, and I love urban mysteries. There's also a strain of mysteries that take place in the country. That's what I decided I wanted to do: Write a mystery about the rural area that I knew best. Folks out in the country can murder with the best of them. And the protagonist? I'm a retired judge, but my hero could be a working judge who's tired of listening to boring stuff in the courtroom. In fact, he thinks he'd make a better detective than judge. Since he is a judge, the law enforcement folks are hardly thrilled to have him snooping where he shouldn't be sticking his nose. 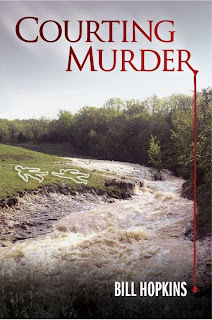 When Judge Rosswell Carew makes the gruesome discovery of two corpses on a riverbank in the Missouri Ozarks, he's plunged into a storm of deadly secrets that threaten both him and his fiancée, Tina Parkmore. Unsatisfied with the way the authorities are conducting the investigation, Rosswell, who's always nurtured a secret desire to be a detective, teams up with an ex-con, Ollie Groton, to solve the case before the killer can murder again. Rosswell uncovers a maze of crimes so tangled that he must fight his way to a solution or die trying. I knew the rural setting was right because I received a sign from on high. On the jaunt where I finally decided the location for the crimes, a bald eagle swooped overhead and lit in a tall oak tree. She had built her nest somewhere back in the forest behind my house. She regularly flies over our pond and helps herself to whatever fish happen to be swimming too close to the surface. 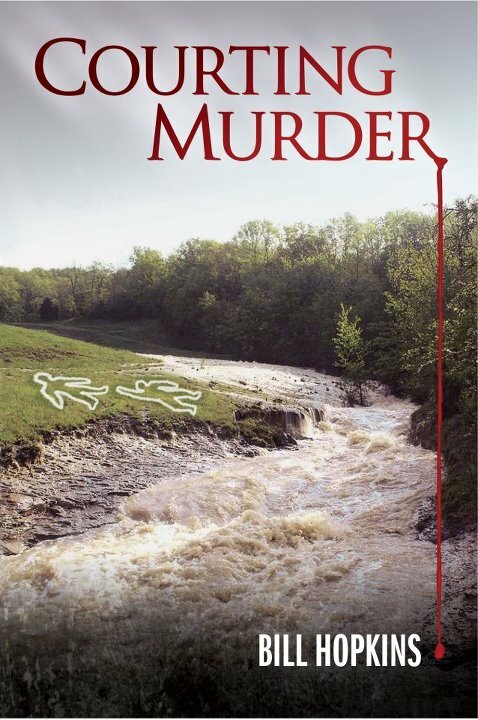 If the Ozark countryside is good enough for a bald eagle, then it's good enough for a couple of murders! Kaye George is a twice-Agatha-nominated novelist and short story writer whose stories have been published separately and in several anthologies. 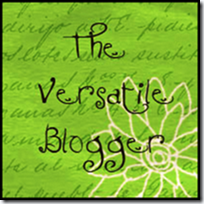 She reviews for Suspense Magazine and blogs on a group blog and a solo one. Learn more about Kaye and her stories at her website. What Can Your Pet Do for You? We've all heard stories of dogs and even cats saving families when the house is burning, stories of trained helper dogs such as seeing-eye dogs, even stories of pets predicting epileptic seizures. (1) Allergy fighters. Sometimes children grow up less prone to allergies in households with furry pets. That didn't work for us. We had had cats since before we had kids, but our second child turned out to be allergic. We first got rid of our remaining cat. His litter mate had died a month or two before our son started having asthma attacks. That was a sad day. Max, the cat, had a skin condition that required cortisone shots once a month, so we couldn't get anyone to adopt him and had to have him put to sleep. Max had the loudest purr of any cat we've ever had. A year later, our son developed an allergy to Ruffles, Duchess of Frecklefoot, our Golden Retriever. That was like getting rid of one of my kids! We did find a good home for her. A few years later, we got another dog--the kids begged and begged--and our son, who had been taking allergy shots, never was severely allergic to pets again. (2) Date magnets. Hey, I'm not looking for a date, having been married for mumble-mumble years, but even I talk to people about their pets. (3) Dogs for the aged. My eighty-year-old mother came to live with us for seven months near the end of her life. Our current Golden, Cory (Corona Golden Sunshine--our kids always named the dogs), was a joy to her. She never liked cats and remarked more than once that they had "terrible eyes". But she was best buddies with Cory. Cory, of course, was best buddies with everyone. The only exceptions were two service people who came to the house on two different occasions. When Cory growled at someone, I left her in the house the whole time that person was there. If Cory told me they were OK, I would sometimes put her in the yard so she wouldn't bother them too much. (4) Good for mind and soul. Being around a friendly animal helps with depression and raises levels of the feel good transmitters serotonin and dopamine. (5) Good for the heart. Having a pet lengthens the life of those who have had heart attacks and even lowers triglyceride and cholesterol levels. Since I included a pet pot belly pig in my second Imogene Duckworthy novel, I'll have to see to it that the family doesn’t run into allergies, depression, or heart trouble. So far, Marshmallow hasn't been a date magnet for Immy, but that could happen in the future. That’s right, at the age of 45, I finally learn to play an instrument and I picked…no, not the bassoon – but it was close – a ukulele! I was in choir all through school (second alto – thank you very much) but never played an instrument. Now, I have two teenaged kids who each play two different instruments, my husband played drums in school, and even the cats walk across the piano keyboard now and then. 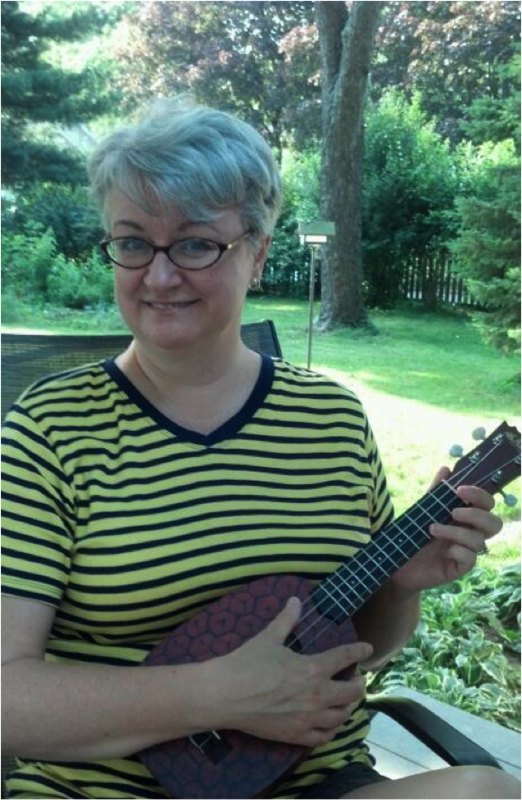 So, I decided that since my one regret was not playing an instrument, that I’d play the ukulele. 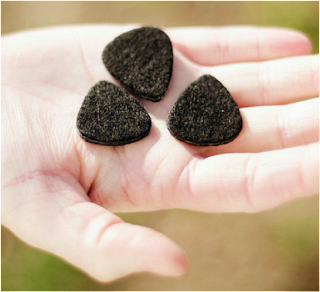 That, and it’s the ultimate, portable instrument – perfect for a zombie apocalypse. If a ZA happens, we will NOT be taking my son’s piano with us. I signed up for a class and took lessons. Here is a picture of me at my recital. As a crafter, I know, I should’ve made the skirt myself. In fact, I’m looking for information to make my own lei and skirt. Of course, that’s the fun of starting something new – finding some DIY project related to whatever my newest infatuation (that’s the word my husband uses) is. That got me a’googlin’. First of all, I’m a knitter and crocheter. So the first thing I looked for was a case pattern. I do a lot of felting, and I didn’t want just the usual, black, nylon gig bag. Here’s what I’ve found so far. I’m thinking the third one, probably in different oranges in what I can only imagine a sunset in Hawaii looks like (hint to husband). That got me thinking of other accessories. Since I can felt, I can make felt picks – which is, apparently the kind you use on ukes. I could make thousands of these. 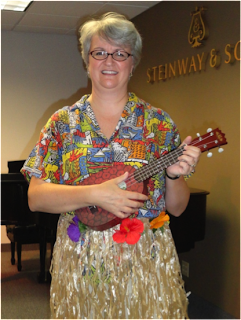 I just don’t have thousands of ukuleles. But I could make some. There’s the tissue box ukulele or the uke made from an Altoids tin. I’ve never really eaten enough Altoids to empty a large tin. But in the case of a zombie apocalypse, where I was separated from my beloved pineapple ukulele, I could eat a bunch of mints or use a bunch of tissues and make my instrument (and have minty fresh breath). 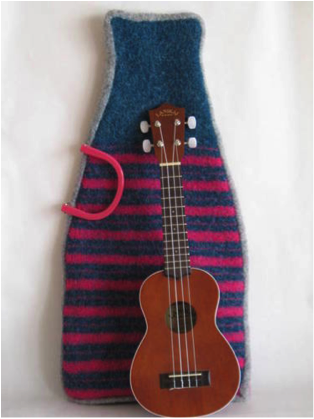 Now, I can hold up my ukulele AND I can unravel the thing and within hours (have you seen me trying to get knots out of yarn?) and use it as a rope in the aforementioned zombie apocalypse. Now, I’m off to find some orange yarn and bug my husband to take me to Hawaii before the zombie apocalypse hits. Oh, and I need to practice a couple of songs. 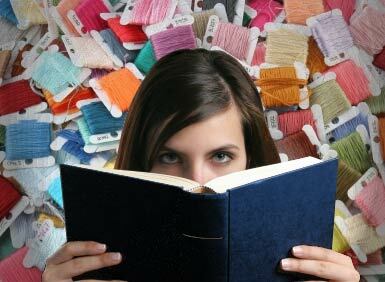 What’s your latest crafting obsession? We had another busy week here at Killer Crafts & Crafty Killers. Special thanks to this week’s guest authors, Janie Reinart and Kari Townsend, who graciously offered copies of their books to some lucky readers who posted comments this week. The winner of Janie’s Love You More Than You Know is Suzie Tullett. 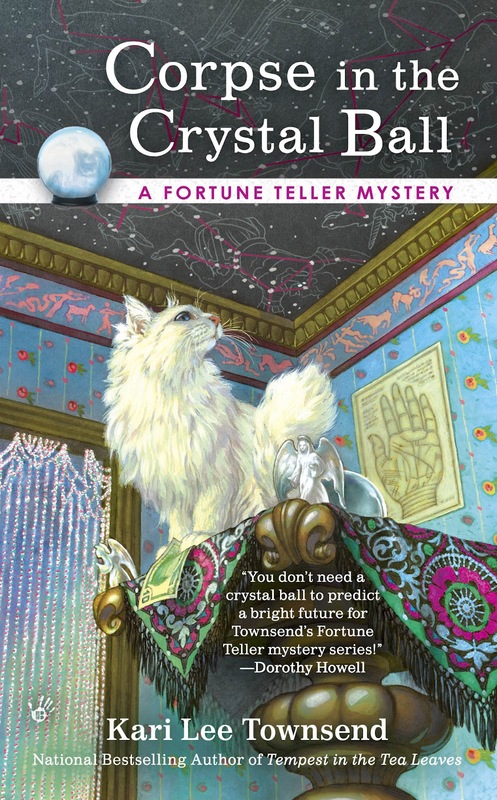 The winner of Kari's Corpse in the Crystal Ball is Marguerite Lafayette. Ladies, please email me at anastasiapollack@gmail.com to make arrangements for receiving your books. Every neuron in my brain sputtered to a halt at the sound of that deep baritone. The man didn’t speak his words; he caressed them. Think James Earl Jones blended with Patrick Stewart and just the slightest dash of Sean Connery. 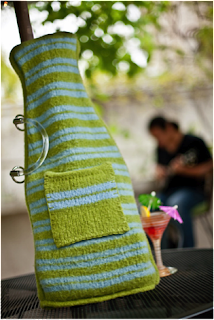 Ben’s voice flowed with a richness of tone and timbre that sent my insides galloping. Reason deserted me as my mouth went dry and my ability to think came to a screeching halt. I stared at his extended hand, incapable of moving a muscle or kick-starting my own tongue. Want to read more? Click on over to Emma Carlyle’s website to read an excerpt. Finding Hope is currently available for Kindle, Nook, and on Kobo. Like the idea of Six Sentence Sunday? Other authors participating can be found at the Six Sentence Sunday website. Back for another visit today is the multi-talented, bestselling, award-winning author Kari Lee Townsend. 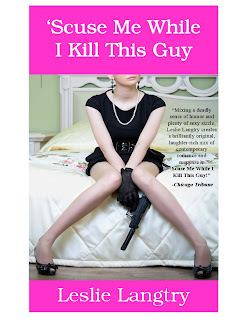 Kari writes mystery, romantic comedies, and women’s fiction for both adults and young adults under her own name and as Kari Lee Harmon. To learn more about her visit her website. I had so much fun creating the main character of my Fortune Teller Mystery series, Sunshine Meadows. Sunny is just that ... fun, bright and sunny. Sunny has short, blond hair and pale green eyes. She’s petite and quirky just like her nickname Tink, short for Tinker Bell. Even though Sunny comes from a family with money, she’s nothing like her doctor and lawyer parents. She is psychic and chooses fortune telling as her profession. Sunny’s laid back and casual, shopping for her clothes in thrift stores and getting her hair cut for free at cosmetology schools. She’s a natural beauty, more cute than stunning, which is a good thing because she hates the feel of makeup on her face. She loves wearing long flowy skirts, t-shirts and sandals. No fuss no muss. You gotta love a girl who can eat, and Sunny loves to eat but hates to exercise. Although, the hunky bartender down at Smokey Jo’s, who also moonlights as a personal trainer at Wally’s World Gym, has sparked her interest in Zumba. Not that Detective Grumpy Pants Mitch Stone would notice. He’s too busy arguing with her and driving her crazy. Today we have with us a very special guest. Grace Kone, who writes as Blair Bancroft, talking about the fashion of bygone days. Grace began her writing career the year the Internet was born—1991, the year of the first Gulf War. Alas, the Internet has become considerably more famous and influential, but she can claim a Golden Heart win, a RITA final, a Best Regency award from Romantic Times, a Best Romance award from the Florida Writers’ Association, and two nominations for an EPPIE, plus a great many four- and five-star reviews. 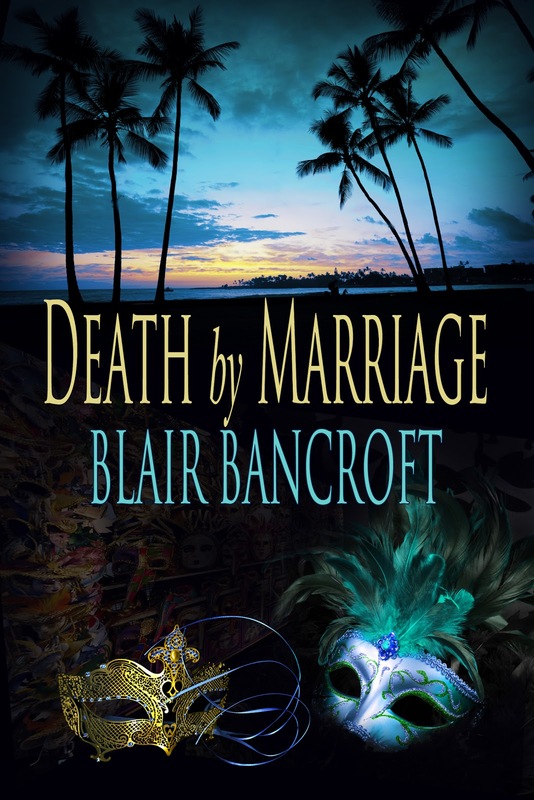 After nine published print books and eight books presented by major e-publishers, Blair plunged into indie publishing in the winter of 2011, uploading a good deal of her backlist and beginning to add new titles in 2012. Blair has been an advocate of online publishing (as long as it’s done with professionalism) since her first e-book came out in 1999 and an enthusiastic proponent for the freedom of Do It Yourself. [She considers e-readers one of the great boons to mankind, thank you very much, Gene Roddenberry (creator of Star Trek.)]. She looks forward to another twenty years of writing and at least as many new books. Currently available online are nineteen Blair Bancroft books, ranging from traditional Regencies to Suspense, Mystery, and Steampunk. Footnote: the mother mentioned in today’s blog as the source of Grace/Blair’s costuming interest would later become well-known as the children’s book author, Wilma Pitchford Hays. Grace never even thought of being a writer until later in life, as it never occurred to her you could have two writers in the same family! I have been blogging about Craft for eighteen months now. The craft of writing, that is. When it comes to the crafts presented by Anastasia Pollack, I blush. I study the instructions she so graciously shares, and my mind boggles. Beyond an occasional hand puppet for the grand girls, I confine my craft suggestions to the nuts and bolts of romance writing, to those who think a tag is a game, a hook for fishing, and presentation doesn’t count. So what am I doing on these pages? Once upon a time I was adept at another craft: creating costumes. And after following a serpentine path of remembrance through several careers, I discovered how very much the craft of costume creation has affected my life. So much so, I recently began a mystery series set in a costume shop, a shop where many of the “costumes” are simply the fashions of bygone eras. From the flowing lines of Grecian gowns to Fair Maidens in veils and Knights in dagged surcoats. From Henry VIII and Anne Boleyn to Scarlett and Rhett, bustles, frock coats, and—oh, joy—the great rebellion of the Twenties, when women threw away their corsets, cut their hair, shortened their skirts, and thumbed their noses at thousands of years of female fashion. We often talk about the debt we owe the Suffragettes, but what about all those ordinary girls who defied convention to make the Twenties resonate through modern history? And, yes, Twenties outfits— from flappers and pearls to striped suit jackets, fedoras, and tommy guns (plastic, I assure you)—were the most popular outfits in DreamWeaver - Costumes & Creations, the costume shop I once owned and managed. And for which I created more than eighty-five percent of the costumes. So it should come as no surprise when my heroine in Death by Marriage, a mystery I call a “not quite cozy,” opens a costume rental business called DreamWear - Costumes & Creations. But how on earth did someone who majored in Music Education with a Minor in Voice (and sang professionally for twenty years, including touring with The Sound of Music) end up with a costume shop? I believe it all goes back to my mother, who for some mysterious reason directed plays in our small Connecticut town. Which led to people giving her a whole slew of Victorian and Edwardian outfits found in their attics. Plus a few homemade pirate and gypsy costumes, circa 1900-1930. The most spectacular of these was an elaborately embroidered kidskin cape with silk ruffles and gold filigree tassels, so stunning I gave it up only five years ago when I moved to a smaller house in Orlando, gifting it to the Asolo Repertory Theatre in Sarasota, which accepted it with awe. What a time I had growing up with all those “costumes” to parade around in. So it’s no wonder that even as I performed on stage in college theater and opera, I was also in the costume room, helping out. I recall one memorable night when the costumer collapsed just before an opera performance in Boston and the director asked me to take care of all the last-minute emergencies. So how could I not come back to it decades later? I loved those years in the costume shop, but when my husband became an invalid and I was confined to the role of caretaker, I made the big switch to writing. And, naturally, where else to set a mystery but a costume shop? To close these nostalgic moments of remembrance, I offer a challenge. Take a good look at what you’re wearing, or at what you wear the next time you dress up for some grand event. Will that outfit, like those poodle skirts from the Fifties, rate space on some future costume shop rack? Will future generations think it great fun to wear the styles of the first two decades of the 21st century ? Or will they, like the fashions of the sad Thirties, the war-filled Forties, and the grunge-look of the Nineties, be ignored, while the glitz of the Eighties and the Steampunk fashions of the past decade stay bright? You’re thinking: sweat pants and sneakers at a costume party? Well, maybe not. But who knows what the future will bring? I’ve been around long enough to know it can be mind-boggling. Will today’s fashions be tomorrow’s costumes? Only time will tell. Thank you for allowing my whimsy into your life today. Who Are the Women Writers in Our Roots? Folks have asked me why strong women are the main characters in my books. One reason is that so many women fought against society’s resistance to their artistic talents, picked up their pens and made their marks. Even today women who write romance novels are often looked down upon and almost totally ignored in the field of literature. 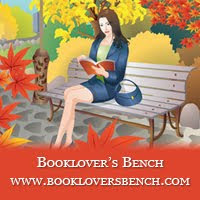 But in the beginning all novels were called “romances” in the 17th, 18th and 19th centuries. A small but impressive number of these romances were written by brave and articulate women who defied family and society, to put their written words into print. And not all of them turned out to be romances in the sense that we understand romances today. We have forgotten, or perhaps like me, never knew, the names of these pioneers. Aphra Behn, for example, is considered the first woman to earn a living writing novels and plays, more than a dozen of each. Aphra wrote in the 17th century, and her first novel was Oronooko, a tale of horror and adventure that takes place in Surinam where she is said to have had an affair, hardly expected from the life and pen of a proper English woman. A hundred years later Fanny Birney, denied an education by her father, kept writing whenever she could, then, out of despair, burned all her early manuscripts in a huge bonfire. But Fanny made a courageous comeback, writing popular novels that often portrayed the changing relationships of women with church, state, men and society. One of her better works includes Emiliana, said to have inspired Jane Austen and winning even her father’s approval. Jane carried on the torch, writing brilliant romantic fiction that clearly portrayed the societal restraints on women, mocked the cruel customs and the wicked ways of “courtly” society. Her Pride and Prejudice, Emma, and Sense and Sensibility are probably on most writers’ bookshelves even today, but it took another writer, leaving romantic fiction behind, to brave new ground and gain the attention of an ever widening readership. Mary Wollstonecraft Shelly, writing at the end of the 18th century, is generally regarded as the first of feminist English authors. Who doesn’t know her shocking Frankenstein? Her work also consisted of travel, education, history, and political writing. She’s best known for her A Vindication of the Rights of Women, a treatise way before its time, and a fine work to celebrate women who write. When the writer Mary Ann Evans took the nom de plume George Eliot in 1871, she did so because she wanted her work to be taken seriously. Although her personal life was a source of scandal, (she never married but lived with her lover) her work was widely recognized for her realism and psychological insight, making her plots ring with truth and her characters unforgettable. In my opinion her Middlemarch is one of the finest novels ever written, and one I read again and again. Strong women, the characters and writers all. Our guest today is multi-talented Janie Reinart, a fellow with the National Writing Project, a teacher consultant, freelance writer, storyteller, and poet in residence at an inner city school. Janie's chapter, “Boots to Ground “ in Love You More Than You Know, won second place in the National Federation of Press Women's 2010 Communications Contest and first place in the Ohio Professional Writer's Communications Contest. 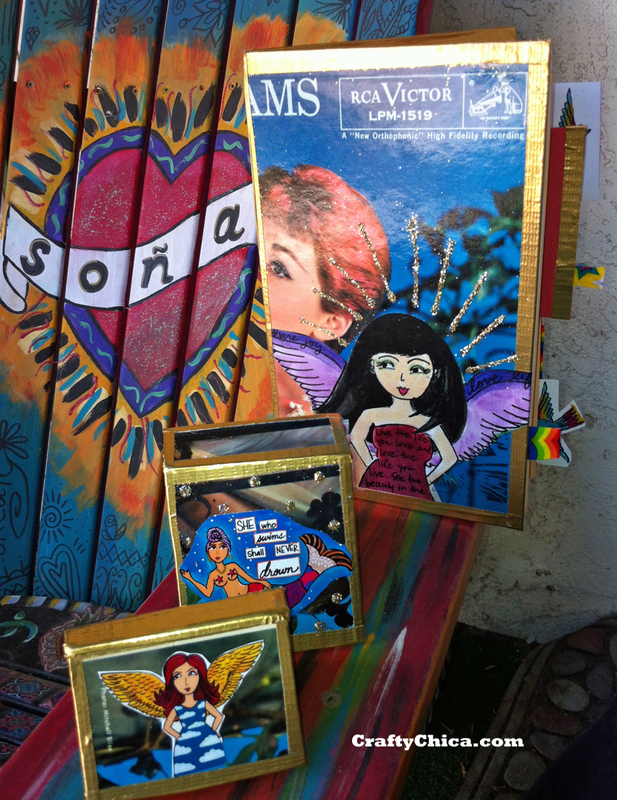 The book contains 45 stories of love, faith, and courage from mothers of soldiers. A portion of the proceeds from the sale of the book is donated to charities benefiting wounded veterans. 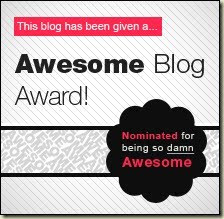 Janie's blog, Love You More Than You Know, is a finalist for the 2012 Milbloggies (6th Annual) Best U.S. Military Parent Blog Award. 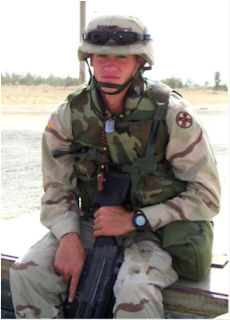 The blog is dedicated to bringing true stories of our heroes in uniform and sharing the bravery and sacrifices that our troops and their families make everyday for all of us. You are invited to share your story about your soldier at Love You More Than You Know as a guest blogger. Send stories to storiesfrommoms@gmail.com. Joe asked for food because anytime they left their barracks, the soldiers had to be in full body armor and gear. For lunch everyday the soldiers had MREs (Meals Ready to Eat). After working a 12-14 hour day, it was just easier for them to eat what they had in the barracks and not go out in the heat again. So every week, I would shop for groceries in Ohio to send halfway around the world—always buying enough so that my soldier could share with those who didn’t receive any packages. Joe made so many chocolate chip muffins from a mix that just needed water in a toaster oven, that he became know as the Muffin Man. For Joe’s birthday, I sent a “Party in a Box”, including streamers, party plates, napkins, cups, candles, candy, party favors (squirt guns) and a banner that read HAPPY BIRTHDAY. I researched on the Internet what kind of cake had the best chance of surviving the extreme heat (temperatures 100-130 degrees) for the two weeks to twenty-one days it might take the package to arrive. The answer was an un-iced angel food cake. To solve the problem of frosting, I added a jar of Nutella, the chocolate hazelnut spread, so that Joe could frost the cake when the package arrived at his barracks. I was so happy when the package arrived the day of his birthday. It is cold during the day in the winter season in Iraq. The temperature goes below freezing at night. I sent a snowman themed box for Christmas including: snowman flannel sheets, flannel pj bottoms, Christmas cookies, DVD’s of Christmas classics (Elf, The Christmas Carol, Frosty the Snowman) and CD’s of holiday songs, colored lights, and Snowman Soup! See the recipe below. We made it through Joe’s deployment and celebrated with a big party when he came home. He was gone for 15 months during his active duty and deployment. We continue to share food and have many meals together as a family. The celebration continues as Joe is getting married at the end of this month! When you feel a chill or "burrrrr"
Add hot water and it slow.